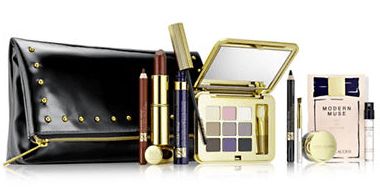 Hudson’s Bay Canada Beauty Offers: Get the Estee Lauder Glamour Set for Just $35.50 (Value of $160) when You Purchase ANY Estee Lauder Product! When you shop at the Hudson’s Bay beauty department, you should head over to Estee Lauder to see if there are any products there – at any price point – to your liking. As when you make any purchase on an Estee Lauder product, you will be given the exclusive opportunity to buy the All Night Glamour collection, a limited edition release, for just $35.50. This set is valued at $160, so you’d be saving $124.50 when you bought it at the limited edition price. The full set is great, and actually includes full-size makeup pieces (unlike some sampler gifts). 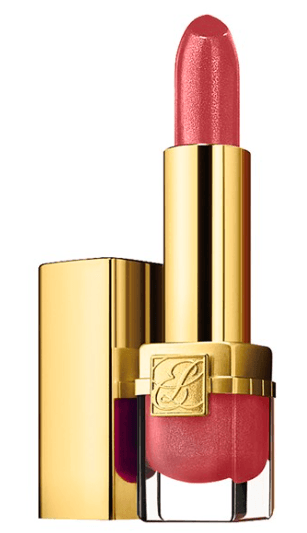 One of my personal favourites, is the Estee Lauder Pure Color Long Lasting Lipstick, which they are selling full-size in the colour palette Hot Kiss. Double Wear Stay-in-Place Gel EyeLiner in Onyx, plus applicator brush. And a sleek studded carry-all clutch for all of your new makeup pieces to hide in! Hudson’s Bay will also ship this set and any other makeup or fragrances purchases over $29 for free, but only for a limited time. or here to read more details about the All Night Glamour collection. There is no option to order this online. They do not have a option to add to your shopping basket. Please check before you post. Thanks. Once you have added a product to your cart, you are then offered the option to add the promotion set.